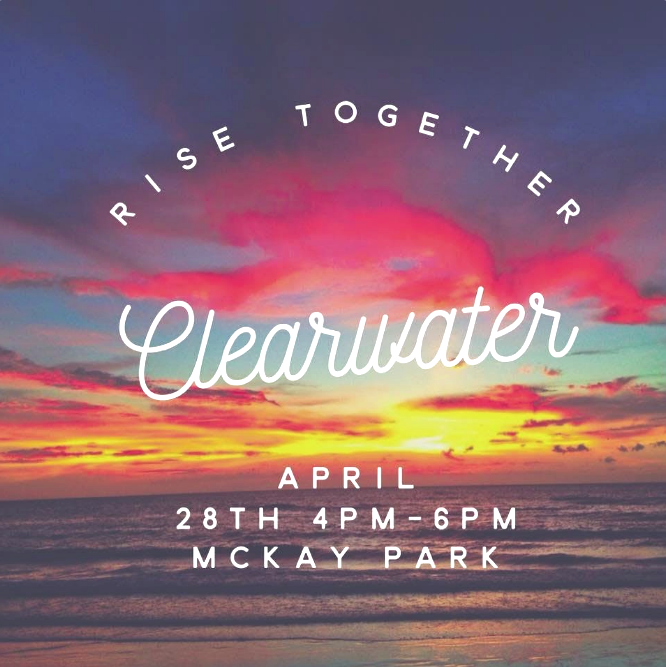 RISE TOGETHER CLEARWATER will provide education about how “you” can become a catalyst for change! The Clearwater Marine Aquarium has graciously offered to provide an educational conversation on how we can help and preserve the sea turtles and we have an ambassador from the Sun Coast Rise Above Plastic to speak as well. You will then be taken on a joyful and inspirational journey of movement to encourage acceptence of yourself and others. We will finalize the night with music performed by Claudia Sunshine ( native american flute) and vocal by Dana Skrodzki during our earth ceremony. This ceremony is a light-hearted meditation to send love, protection, and healing energy to our world, earth, and oceans. Together We can Move Mountains. Together we can create a positive change. We all hold a beautiful authentic gift. Let’s collaborate and come together to Shift the Energy of the World! It’s time to RISE UP! 75% of the proceeds will benefit local as well as global organizations who are stepping up and helping our oceans and environment everyday!